Doctor Howard Katz graduated the Uniformed Services University of the Health Sciences, Hebert School of Medicine in 1985, a top medical school in the USA. Passionate by learning, he performed his residency in several medical fields: in nuclear medicine at University of Texas Health Science Center, in radiology at San Antonio Uniformed Services Health Education Consortium, and in general surgery at Keesler Medical Center. The American Board of Radiology certified him in nuclear radiology and diagnostic radiology. 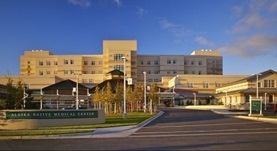 Dr. Howard L. Katz is affiliated with Alaska Native Medical Center in Anchorage and Yukon-Kuskokwim Delta Regional Hospital in Bethel, Alaska. His medical career is a rich one, counting more than 31 years of experience.